Hoomin, they're watching! That dude over there has that clicky thing! 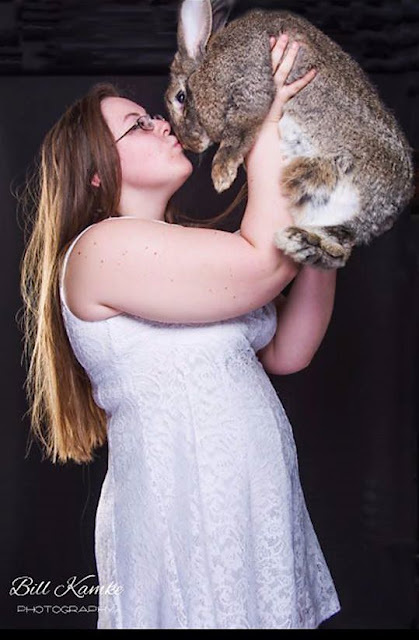 Does everybody else get to kiss their bunnies as they head off to the Tar Pits, because if they do, I am going to be the one disapproving. All I have ever gotten is a reminder not to be late getting home to prepare evening salad. We all want a Mikey!!!!!!! Beautiful photo. I always wish I had a nice shot taken with my cats instead of just pictures of them. Mikey is some bunny!